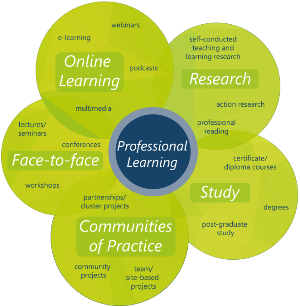 At last all your professional learning questions answered in one easy-to-access location! Our professional standards team has been working hard to streamline and update the professional learning pages on the TRB website. New sections and a bigger FAQ section means it’s easier for you to find the information you need faster. Check it out here. Growing High Trust Relationships workshop designed to help school leaders bring out the best in themselves and their staff, build trust, improve communication and increase engagement. Thursday 16 March, 8:30am – 4:00pm, cost $599.50. More information here. Coaching Accreditation Programme designed for school leaders who are committed to building their coaching and leadership skills. Tuesday 14 and Wednesday 15 March, 8:30am – 4:00pm. More information here. Free twilight session on the Educator Improvement Cycle discussing how optimising the learning environment is important not only in the classroom, but also on the sports field. Matt Wadewitz from LeadLearn Consulting will be joined by Western Bulldogs champion Luke Darcy. Wednesday 8 March, 5:00am – 6:30pm. More information here. Unleashing Creativity in the Classroom – Kelvin Sparks. A six-month program designed to help teachers and school leaders develop a culture of promoting creativity within their schools. Tuesday 7 March and Wednesday 9 August, 9:00am-4:00pm, cost $660. More information here. All workshops to be held at the Hartley Institute, cnr Capper Street & Parade West, Kent Town. The Australian Association of Special Education (AASE) is holding their conference Walk With Us at the Darwin Convention Centre from Thursday 6 to Saturday 8 April. The program will cover; education pre to post school: behaviour: social emotional and practical strategies. More information here. Little Lessons Australia is holding a workshop with presenter Madhavi Nawana Parker, Emotions & Kids: simple ways to guide your students to handle difficult feelings well and connect more positively with others. Belair park Country Club, Upper Sturt Road, Belair, Wednesday 15 March, 3:45pm – 6:15pm, $70 + booking fee. Find out more and to book here. The SA Science Teachers Association is holding a Teachers new to SACE Stage 2 Physics workshop on Friday 24 February, 9.00am- 3.30pm the Education Development Centre, Hindmarsh. More information here. Setting students on the Autism spectrum up for success in the primary setting, Wednesday 22 February, 9:30am – 4:00pm. All sessions are held at 262 Marion Road, Netley, Register at www.autismsa.org.au.